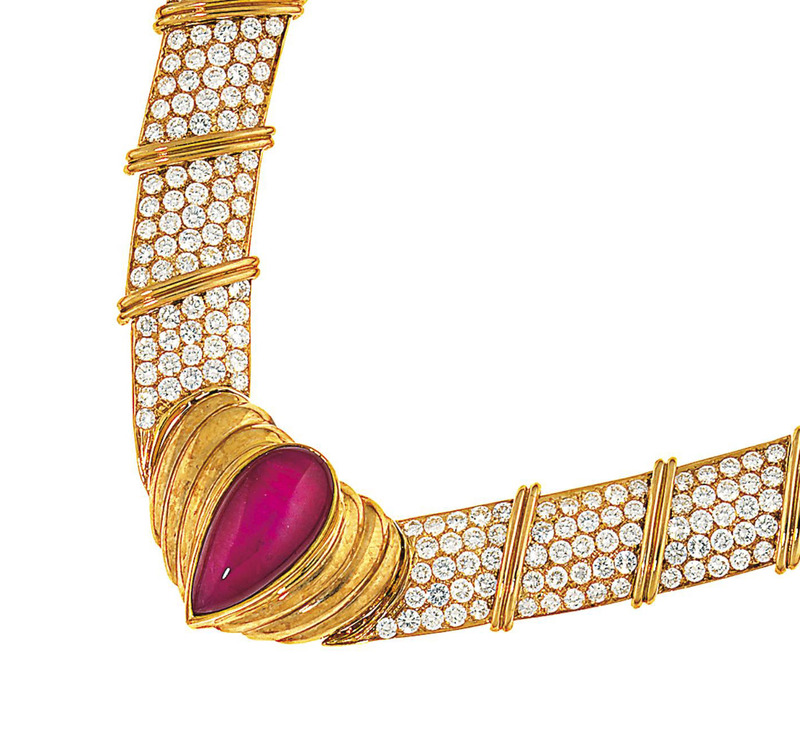 Items which contain rubies or jadeite originating in Burma (Myanmar) may not be imported into the U.S. Please be advised that a purchasers inability to import any such item into the U.S. or any other country shall not constitute grounds for non-payment or cancellation of the sale. With respect to items that contain any other types of gemstones originating in Burma (e.g., sapphires), such items may be imported into the U.S., provided that the gemstones have been mounted or incorporated into jewellery outside of Burma and provided that the setting is not of a temporary nature (e.g., a string). These lots have been imported from outside the EU for sale using a Temporary Import regime. Import VAT is payable (at 20%) on the Hammer price. VAT is also payable (at 20%) on the buyer’s Premium on a VAT inclusive basis. Where applicable Customs duty will be charged (per rate specified by HMRC guidance) on the Hammer price and VAT will be payable at 20% on duty. When a buyer of such a lot has registered an EU address but wishes to export the lot or complete the import into another EU country, he must advise Christie's immediately after the auction.